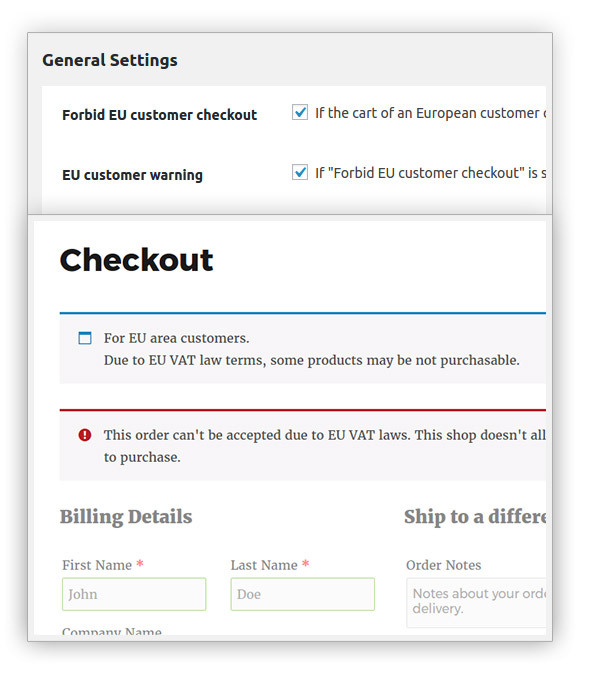 As the owner of an e-commerce, you should be aware of the new European rules about digital goods. In fact, the European Union has decided to apply the VAT of the country of the purchaser in the B2C sales (business to consumer). On the contrary, in the B2B sales (business to business), if a company has a valid VAT number, the purchase will not be charged by any VAT, otherwise, the VAT to apply would be the same of the B2C sale. Therefore, whether you have a European shop or not, you need a way to understand the origin of your customers. 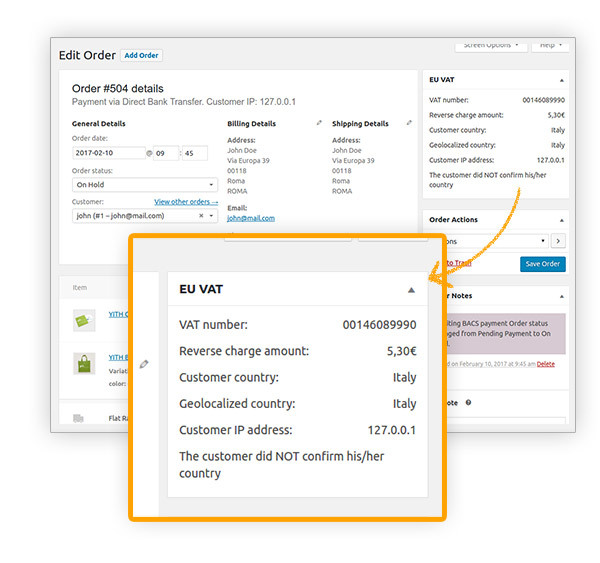 Fix: VAT validation not triggered when a previous VAT number is deleted. 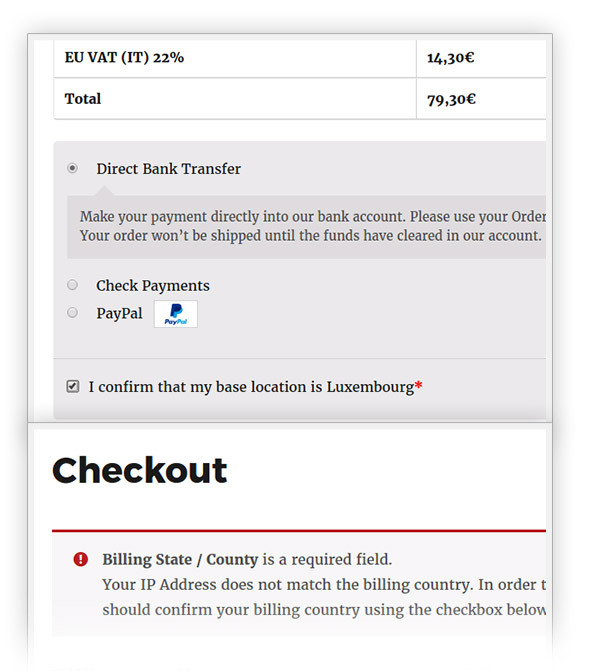 Remove: option "Customer's country check"
Hmm.. plugin works well but is designed to use for digital products, did not know that before I bought it, I see there is an option for physical products but think I made a mistake. So not completely satisfied with it. Very happy!Worth every penny, especially now our the numbers of EU visitors is increasing. Started out with the free version, but quickly learned that we needed the premium version. The tax report is a nice addition! Very happy with my purchase!This plugin is a real time saver, love it! Hi there! 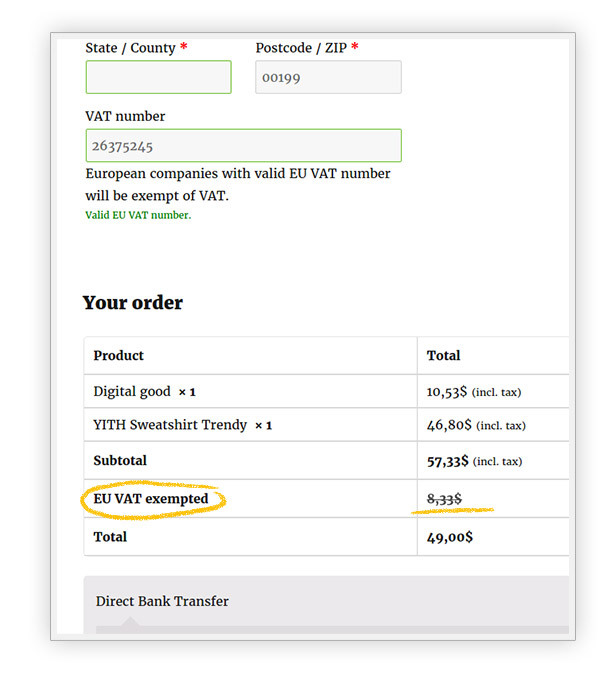 You can show the VAT number on the invoices by using the plugin in combination with the premium version of YITH PDF Invoice and Shipping List which is fully integrated. 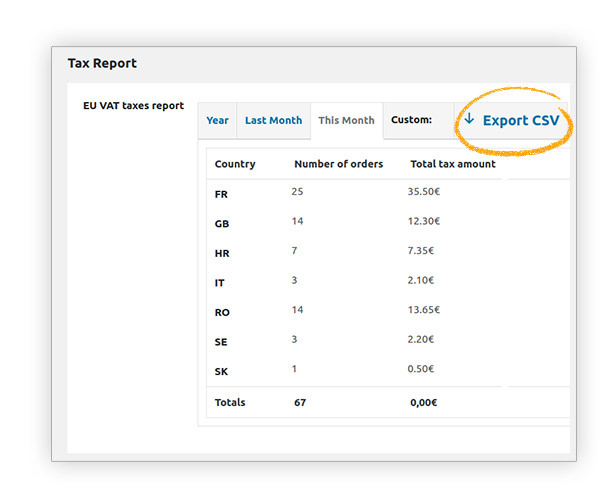 We can add a condition to check the users country, but there is no way to check the event location to hide the EU VAT field. 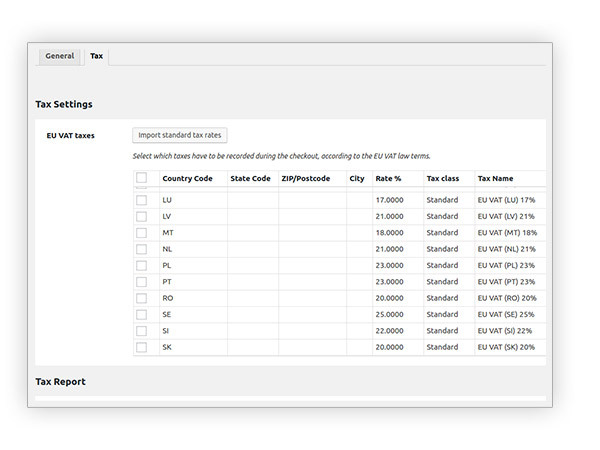 the tax rate cannot be set in the plugin settings. The only available option is to import taxes. 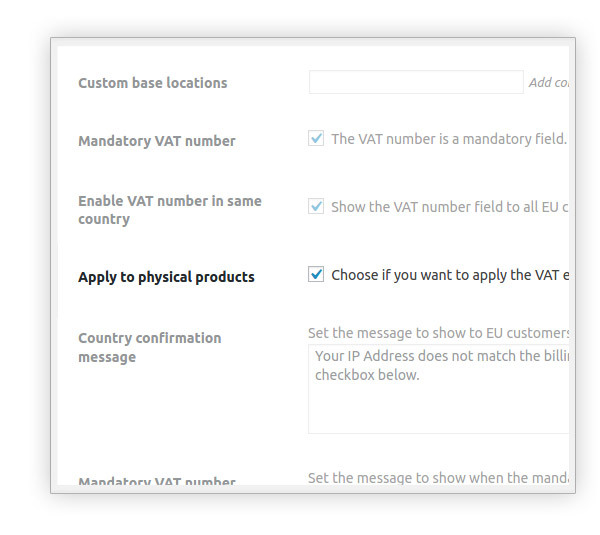 Moreover, tax rates can only be changed in WooCommerce settings panel. Hi, Gary! I am afraid it is not possible at the moment since the two plugins are not integrated. However, our developers will be informed of your request so they can analyze it and verify if it will be possible to add this integration in the future. Hi, Manuel! I suppose some misunderstanding occurred, I am sorry. 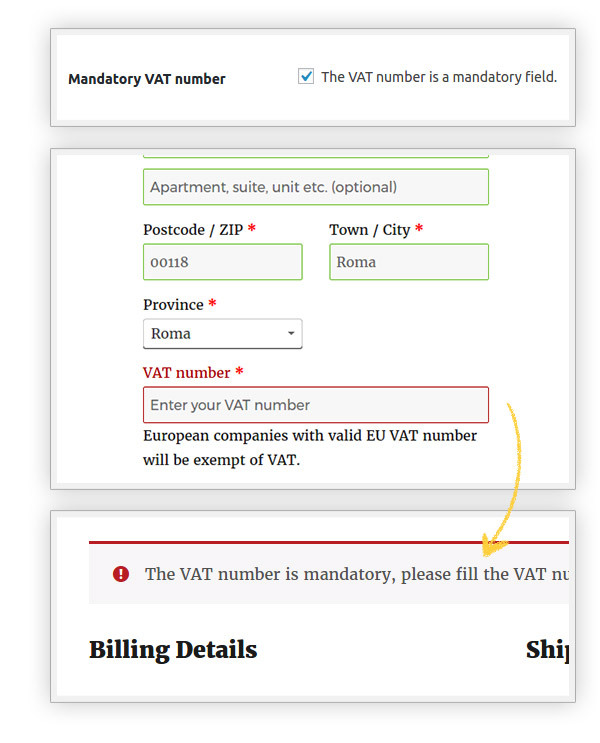 The plugin never hides the VAT field. 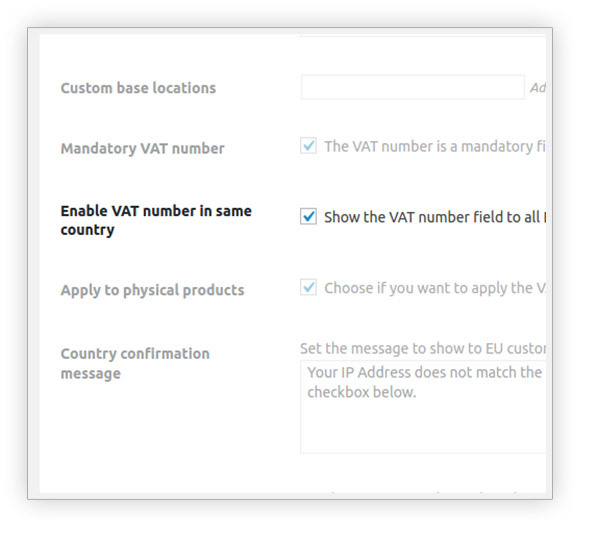 Companies purchasing on your site must insert their VAT number. If they are from the same shop country, they will be charged with taxes. If from a different European country, they won't be charged with taxes. In both cases, they must complete the VAT field. The plugin has been developed by following the European rules about this matter.